As a therapist, did you find it hard not to give your view on a relationship; did you find yourself wanting someone to leave, or to stay, but being unable to say so? Did your clients reach different conclusions to the ones you were expecting or thought would be best for them? Were you frustrated if progress was so slow because your work together was undermined by a difficult relationship or lack of support outside therapy? And how do you deal with a situation where the party in therapy inevitably has more insight and self-awareness than the partner who is not, and so the entire task of resolution feels as though it is upon their shoulders? Particularly if they are the one who is ‘mentally ill’ and therefore the one ‘with the problem’? I’ll try to answer those questions today. Therapists certainly have opinions about a patient’s description of his or her marriage and much else. 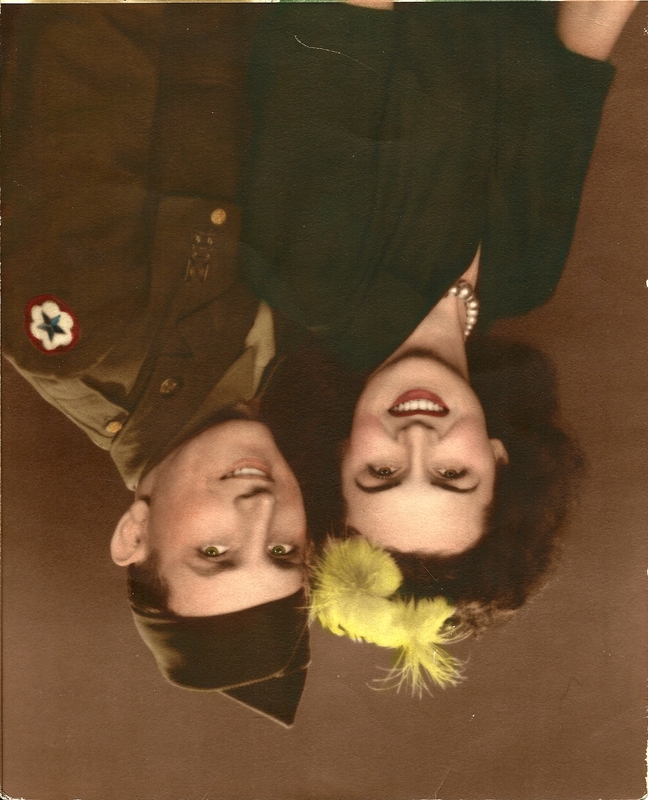 We attempt not to be judgmental, but are not indifferent to whether the reported relationship is “working.” Frank advice to stay or leave, however, is rare. Why? You are a therapist, not a fortune-teller. You cannot predict precisely where the chosen path will end. Major changes are the client’s responsibility to make. The counselor’s job is to empower the patient, not to lead him. The decision to end a relationship, especially in a home with children, is like walking through a pottery store and knocking over a precious vase. If you break it, you own it. The spouse who leaves will be held responsible for whatever follows from the divorce. Since severing family ties is difficult, he risks being blamed for anything that goes wrong, whether the finger-pointing is fair or not. Disapproval can come not only from the mate, but children, parents, and other relatives. Friends, too, may express or act out their unhappiness at the decision. No therapist is able to anticipate the reactions of all the people unsettled by a relationship’s end. One of the potential consequences of ending a marriage is regret by the individual who chooses to do so. As a rule I tried not to discourage patients from making every effort to save the union. To suggest a preemptive end (short of one coming in an abusive marriage) might leave the one who files for divorce saying “I should have tried harder” at some later time. All that said, the counselor may still believe his patient would benefit from leaving the marriage. Yet, he must remind himself that he doesn’t know the spouse or have an unbiased description of life in the home. Were he to meet with the partner once, he still obtains only a snapshot of what is going on in the family. On the other hand, if the counselor were to attempt marital therapy, he leaves his patient without a therapist exclusive to himself. While such efforts can sometimes produce a good result, they are complex and avoided by more than a few in the professional community because of the complexity. The spouse who has agreed to marital therapy with the patient’s therapist might question whether the doctor remains aligned with his long-time client. A new goal of treatment, to save the union, alters any continuing individual sessions. Life in a Bind wants to know if the marital relationship turmoil can frustrate the treatment and the treater. Without question. Freud, in fact, attempted to discourage the people he analyzed from making any big changes during the course of therapy, the better to simplify the process and keep his patients on target to unravel their early life knots. Life happens, however. All sorts of external events might impede the patient’s progress: job losses, illness to the patient or his loved ones, and work-related moves, to name only three. The doctor’s task is to enable the client to stay afloat in difficult moments: if possible, to use those changes, misfortunes, and hurdles to grow in resilience and insight. The counselor learns to keep a therapeutic distance and manage his own personal frustrations. As Life in a Bind suggests in her questions, client’s decisions are not always in line with what a therapist might think ideal. Doctors can inadvertently betray their own biases. Once again, we are dealing with someone else’s life. An experienced therapist comes to terms with this. He is not a god or a tarot card reader. Do you still love your mate? What are the positives and negatives of the relationship? Why have you stayed until now? The latter question may evoke reasons to continue to stay or fears of ending things. What would be the positives and negatives of a separation or divorce? Are you prepared to take on the job of ending the marriage? What do you think that might be like? Have you talked to others who have been through it? And how do you deal with a situation where the party in therapy inevitably has more insight and self-awareness than the partner who is not, and so the entire task of resolution feels as though it is upon their shoulders? Particularly if they are the one who is ‘mentally ill’ and therefore the one ‘with the problem’? First, the “identified patient” is sometimes the most insightful partner within the marriage. 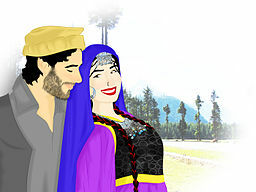 He or she can be a thoughtful, if unhappy person, who wants more out of the conjugal contract than the spouse who finds the current terms of the marriage tolerable. The latter might be obtuse, insensitive to the companion’s feelings, and domineering, even if he is perhaps more functional and not as troubled as his mate. 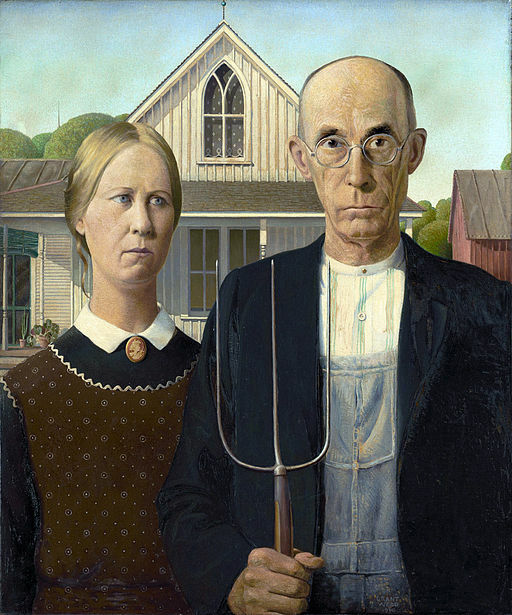 In the long-term, unless the partner Life in a Bind describes becomes enlightened, the marriage’s continuance may depend on the acceptance by the sole person in individual therapy of his or her discontent: in other words, a willingness to bear the largest part of the psychological weight of family life. While 50/50 sharing of the stress of home life is a goal impossible even to define, the sacrifice of oneself to a spouse’s vision of an acceptable marriage is a step toward personal unhappiness. Were individual dissatisfaction the only concern, everything else being equal, a decision about continuing a relationship would be simplified. But, as they say, everything else is never equal. The top image is called “No Escape.” It is the work of Judith Carlin and comes from Wikimedia Commons. Do you remember your childhood friend, the one who knew the girl you fancied, the one who was the intermediary between you and “your heart’s desire,” who let you know if she was equally fond of you, and who passed messages and notes between the two of you? And do you remember when you asked one parent to “run interference” with the other, to shield you from the blow or scolding or grounding that you were afraid you would receive if your defender couldn’t soften the heart of the other? These were probably your first experiences with the role of an intermediary. Putting these things in the terms of childhood memory will, I hope, help you to recall just how important that mediator was, how much you counted on her or him to put things right for you, how much dependency was involved, and how grateful you were if she was able to do the job of advocating for you efficiently and well. As adults we still use these kinds of mediators, intermediaries, or advocates. Lawyers “make our case,” accountants talk to the IRS on our behalf, reference persons write letters or recommendations to potential employers or universities, agents negotiate salaries for us, and a marital therapist tries to help two people repair their relationship. But the intermediaries whom we most esteem, I think, are those that perform a public form of intercession. I am speaking of musicians, actors, and clergymen. What do I mean by this? Let’s start with musicians. They take the printed note on the page of music paper and give it life—sing it, play it, form it in the way that they understand the notation. The players interpret the music. It is said that they “recreate” it, but truly, it does not exist except as an abstraction until they begin to perform it; we do not hear it until they begin to “make” the music. They are the intermediaries between the composer (who might be long dead) and us. So too, actors and actresses. They give life to the playwright’s or script writer’s words. These players shape the words, give them emphasis and color, drama and intensity. And they are the carriers of the playwright’s meaning, his advocates and his intermediaries in the communication he hopes to bring to us, the audience. Clergymen and clergywomen serve much the same purpose, only with religious texts. If you believe that they serve a higher being, then you also believe that they mediate between God and man. Their sermons, if eloquently delivered, are no less moving than the sounds of stirring music or the voice that an actor gives to Shakespeare’s lines. We esteem these mediators, in part, because (at their best) they reveal to us a higher, loftier, more intense and creatively imagined way of being; they move us to tears or to excitement or to hope; they quicken life, stimulate thought, open our hearts, teach us, and, if we are ready, change us. Given the effect that they have on us, these mediators receive our appreciation and, sometimes, adulation. Indeed, because the composer or playwright or screen writer has given over the task of performance to these people (while he is in the shadows, even if alive), we can lose sight of the author of the creative work being presented to us on stage. And, so too, the recreative artist (the actor or musician) can get a bit too carried away with his own self-importance. Indeed, it is rare for the great conductors, singers, actors, violinists, and actresses of the world not to be at least a little full of themselves. 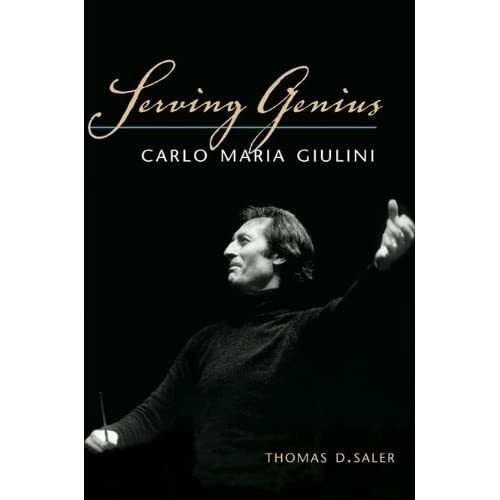 One who was not, however, is the subject of an excellent new biography: Serving Genius: Carlo Maria Giulini by Thomas Saler. Giulini was an Italian symphony and opera conductor who lived from 1914 to 2005. His humility in the face of the geniuses he served, that is, the great composers, would have been for nothing if not for his own talent in giving life to their music. Giulini felt that his role was a small one, as the servant of these great men, as the mediator of something much bigger, more important, and more lasting than himself. Giulini was a man both great and good, an extraordinarily rare combination. I had the good luck to hear him perform dozens of times and to interview him once (and, in the interest of full disclosure, I was interviewed for Mr. Saler’s book). Giulini took his role as the link between composer and listener very seriously; indeed, the responsibility to the composer, to do his art justice, was a weighty one to this enormously conscientious man. Giulini gave the concert that celebrated the liberation of Rome from fascist control in 1944 during World War II. Soon after, he was asked to play Bach’s Brandenburg Concertos, pieces he admired but did not feel ready to perform. Pressured to do so in a concert that was well received, Giulini nonetheless felt he had let down both the composer and the audience by playing these pieces before he was convinced of how to best recreate every note. It was 22 years before he finally felt that conviction and again conducted any work of Bach. Intermediaries. They mean a great deal to us. As you can tell, Giulini did to me.